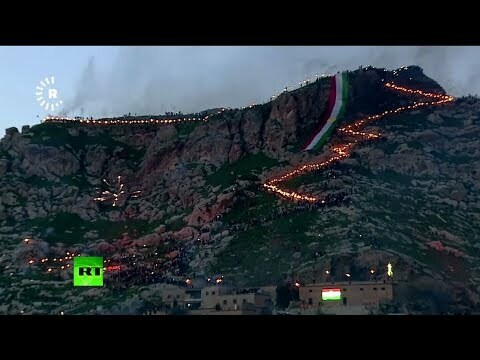 Iraqi Kurds carry torches atop Akre mountain to celebrate Nowruz | We Seek the Truth! Thousands of people, many wearing traditional Kurdish clothes, carried torches and shot fireworks as part of the annual celebration. Newroz symbolizes the passing of the dark season and the arrival of the season of light, but it has also come to stand for Kurdish aspirations for freedom and self-rule.